The MEP2684 Tandem Axle 8’ x 4’ Plant trailer is built around a fully welded Hot Dip Galvanized steel chassis, with a heavy duty drawbar arrangement, incorporating a bucket rest, with a Cast Towing Coupling (40mm Eye or a Locking 50mm Ball Coupling as required). The trailer is fitted with a Meredith & Eyre heavy duty, low maintenance tandem rubber torsion axles which have been proven in the Construction & Plant industry, with excellent ride characteristics to cope with operation in both laden and unladen conditions. 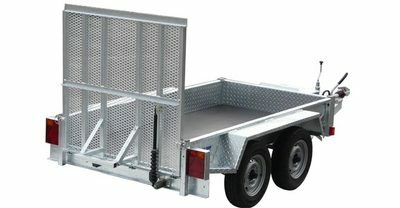 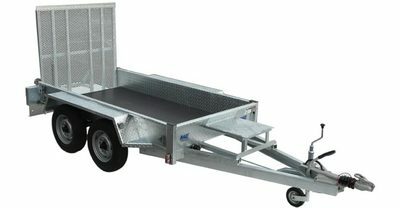 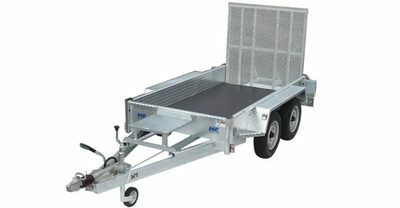 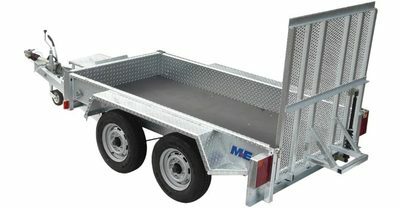 The MEP2684 Trailer chassis has a fully welded 3mm section chequer plate body and a full width mesh ramp with optional gas assist The Floor of the trailer is made from 12mm high density plywood with a tough, slip resistant waterproof resin coating on both sides.